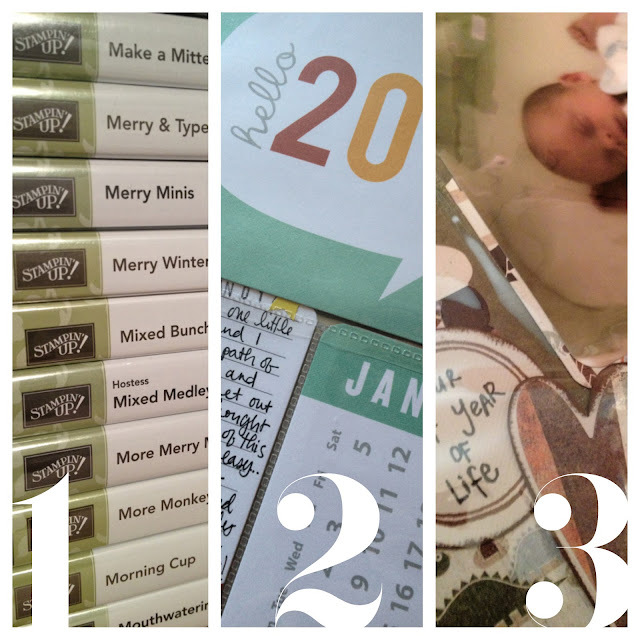 Amanda Sevall Designs: Crafty Resolutions for the Rest of 2013. I'm a goal setter by nature... don't always get it all done, but have a great time trying! So I thought it would be fun to set three attainable, crafty goals for the rest of this year. 1. Use one of my new, unused stamp sets a month. I actually have more than 12 of those right now... eek! 2. Finish my nephew and my niece's first year baby albums. The plan is two 2-page layouts per month per album. 3. Do a Project Life album. It was constantly on my brain last year, just never set aside the time to do it. And I'm keeping up with it this year, so I believe it is possible!! These are lofty goals for me when my true spare time (when I am not choosing crafting over time with my husband, my family, my friends or sleep) is approximately 4 hours a week if I averaged it out (I think!). Nevertheless... I'm determined this year to work on it and have fun trying to get these items done! You're definitely not the only one! I have lots of craft-related goals. I like your goal of using the untouched stamps. I don't have any unused stamps, but I do have a few specialty products I haven't tried yet and others I haven't fully explored. I should pull out one a month and give it a go!